The event has expanded to 96 players with a prize fund of £60,000 this year, providing greater opportunities for young players from across the globe. There will be up to 72 qualifiers from the PDC Unicorn Development Tour Order of Merit, alongside any age-qualified players inside the top 32 on the main PDC Order of Merit. They will be joined by 24 international qualifiers from across the world to compete in the early rounds on Monday November 5 at Wigan's Robin Park Tennis Centre. 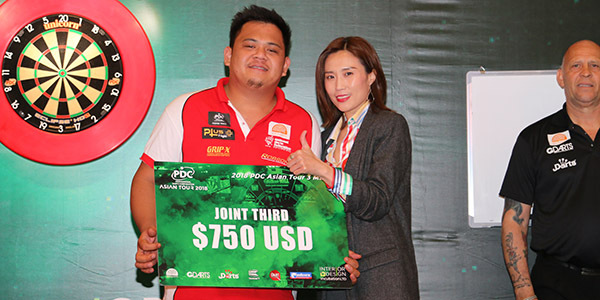 Heading the latest list of ten international qualifiers is China's Xiaochen Zong, who starred in the 2018 World Darts Championship and represented his country in June's World Cup of Darts. Zong (main image) is joined by Paolo Nebrida (Asia, pictured above) Sean Coohill (USA), Logan Crooks (Canada), Nicolai Rasmussen and Hampus Norrstrom (both Nordic & Baltic), Jack Faragher and Keane Barry (both Ireland/NI) and Maxim Aldoshin (Russia). In a change for the Australian qualifiers, Ryan Lynch has replaced Corey Cadby for the 2018 event. Further qualifying events will be held over the next month ahead of the early rounds on November 5 at the Robin Park Tennis Centre in Wigan. 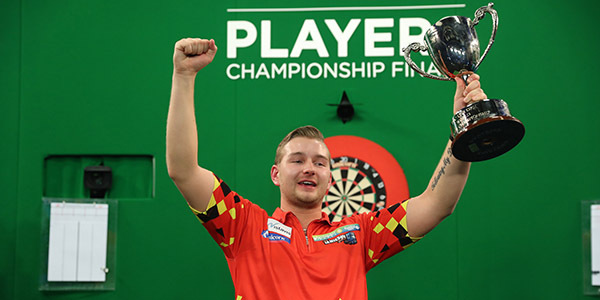 Belgium's Dimitri Van den Bergh will defend his title in November, having claimed the honour in 2017 by defeating Josh Payne in the final. Also among the players to have secured qualification is Canada's Dawson Murschell has qualified as the best-performing eligible player at the recent William Hill North American Championship. Lynch joins Steve Fitzpatrick in qualifying from the DartPlayers Australia rankings, while Kiwi talent Tahuna Irwin won the DartPlayers New Zealand qualifier. 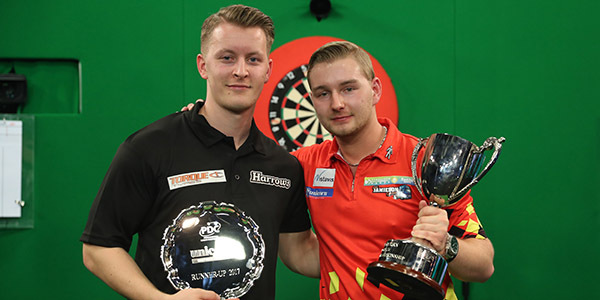 German duo Sven Hesse and Lukas Wenig are further qualifiers, alongside Gibraltar's Jarvis Bautista, America's Sean Coohill, Canada's Logan Crooks and South Africa's Alexander Faddel. Further qualifying events will be held in the USA, Canada, China, Asia, Russia, Ireland, across Europe and through PDC Nordic and Baltic, while two players will represent the Junior Darts Corporation. One further weekend remains on the PDC Unicorn Development Tour for players to qualify, on November 3-4 in Wigan. The first round will be a group stage featuring 32 groups of three players, with the group winners progressing to compete in a knockout format from the last 32 onwards. The final will then take place on Sunday November 25 at the Butlin's Minehead Resort between the semi-finals and final of the Players Championship Finals, live on ITV4. Robin Park Leisure Centre, Loire Drive, Newtown Wigan.